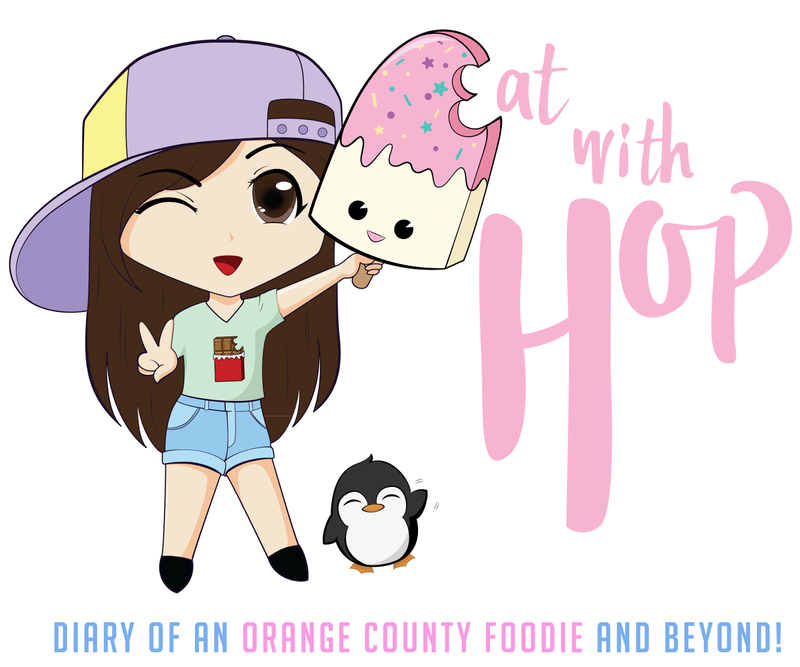 GETTING FREE TACO BELL'S A.M. CRUNCHWRAP - A RECAP - EAT WITH HOP! 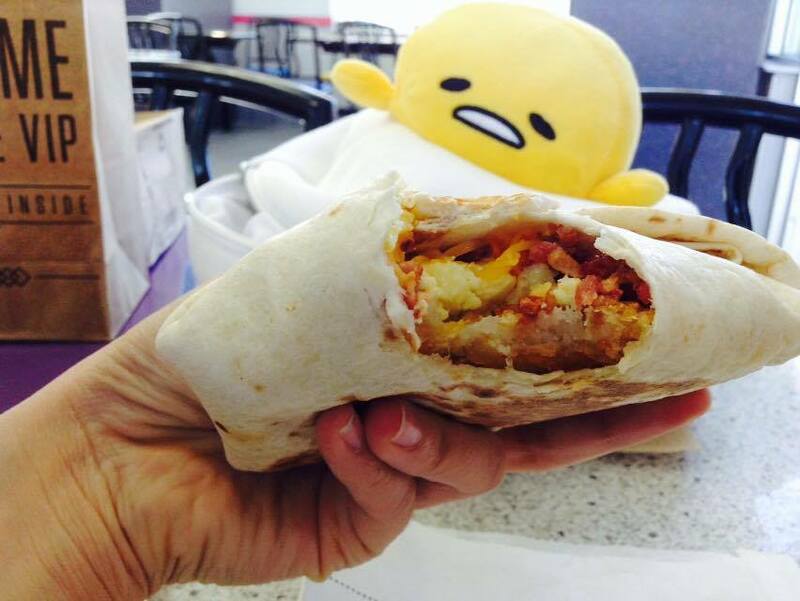 GET UP CLOSE AND PERSONAL WITH THE CALIFORNIA A.M. CRUNCHWRAP WHICH HAS BACON, AVOCADO, EGG, CHEESE AND HASHBROWN!! 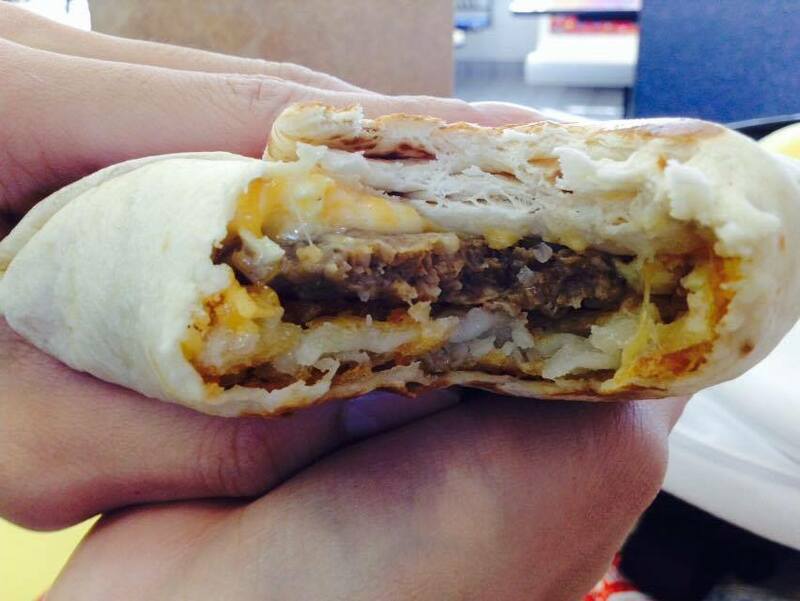 THIS IS THE COUNTRY SAUSAGE A.M. CRUNCHWRAP! IT'S GOT SAUSAGE, EGG, CHEESE AND HASHBROWN! TODAY I WENT TO 3 DIFFERENT LOCATIONS AND GOT 6 A.M. CRUNCHWRAPS TOTAL. It's 1 per person and since I went with my bf we got 2 total each time! Woo! Since I'm a Garden Grove local I just went around my area and luckily all the locations I went to participated in this promo today! The store is very clean and everything just looks good. When I came in I mostly saw business men probably getting their freebies before work. The workers are very friendly and smiley! This surprised me because I didn't even know there was more than 1 type. 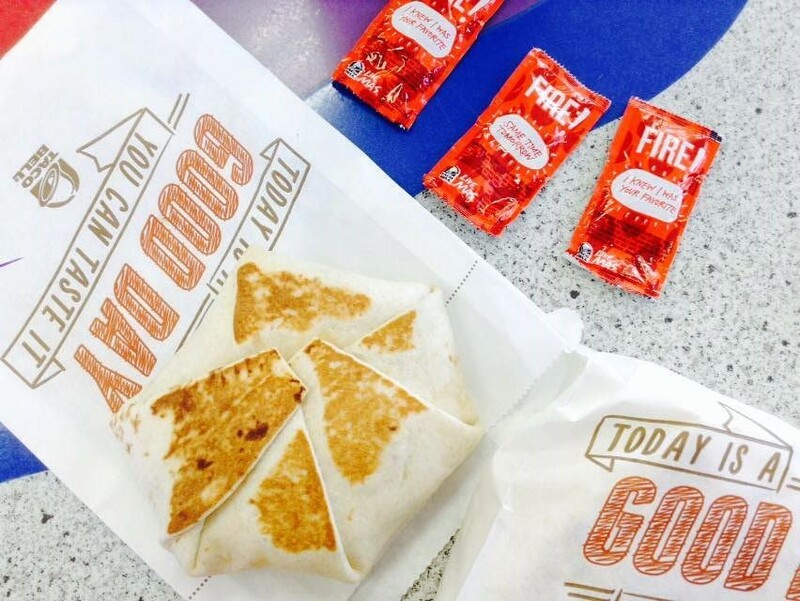 ***This is the best location because it's very clean and everyone is very friendly and they offer every A.M. Crunchwrap variety for the free promo deal! This store is also clean! The worker seemed a bit more stressed though and it was busier here. 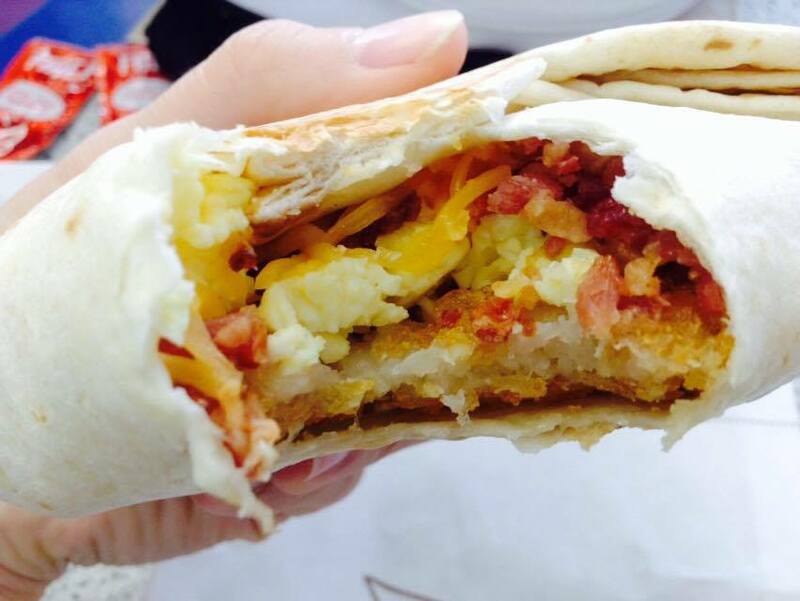 They only offer two types: Country Sausage and California A.M. crunchwraps here. This place was crowded! So crowded with people and it looked messy and kind of gritty and dirty. There were a few homeless getting their freebies too. Gotta hand it to Taco Bell though for helping feed the hunger because there is no purchase necessary to get this deal! This location also only offers two types: Country Sausage and California A.M. Seriously a bummer because I was hoping this location would offer the Steak, the one I didn't get to try yet! Oh well, it's around $3 for a crunchwrap anyways so I'll try it sometime soon! NOW I HAVE 4 LEFTOVER BUT SAVING IT FOR MY FAMILY TO TRY! Crunchwraps taste pretty darn good as leftovers. I just popped one in the toaster oven and I actually think it tastes even better. The outside is crunchier and the inside is hot and tastes as if freshly made. Yum.